On today's show, John explains the value of always staying in the present and how he manages to achieve this mindset. Cory shares the value of focusing on the positive side of things even when our natural inclination is to be negative. Maurice is(not) on "The Negativity Program" and in the Main Event we have a conversation about Building vs Sustaining business. Are you ever really able to just sustain a successful business? Be sure to SUBSCRIBE to the podcast, SHARE the show with a friend and leave a 5 Star Rating with a positive comment! Everyone must go check out HoneyBook.com! If you’re a small business owner, HoneyBook.com can help you spend less time handling the administration work, and more time doing what you love. HoneyBook is an all-in-one business management platform for creative small businesses. HoneyBook makes it easy to streamline your process, with client and calendar management tools, and custom branded proposals and contracts. You can even get e-signatures, generate invoices, and get paid faster, all within one online system. 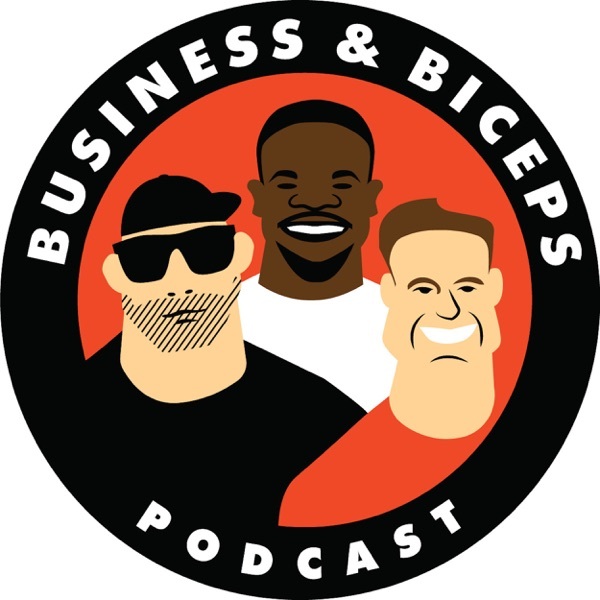 Use PROMO CODE: BICEPS for 50% off your yearly subscription! This episode is brought to you by Robinhood. Robinhood is Commission FREE Trading App! Go to biceps.robinhood.com to receive a FREE SHARE OF STOCK such as Apple, Ford or Sprint! This is an incredible tool for new and experienced investors so go get your FREE STOCK NOW!